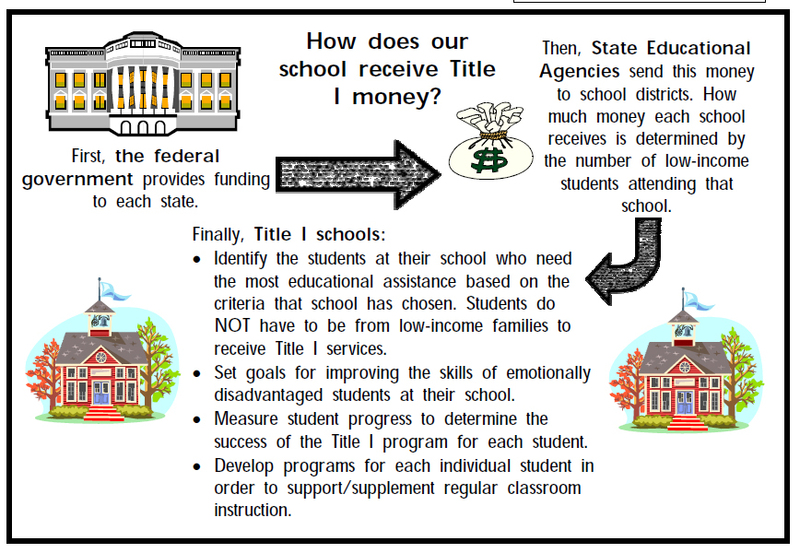 How Does a School Receive Title I Money? Title I is a federally funded program for schools to assist economically disadvantaged children. Since a high incidence of poverty in a school has a direct correlation with low academic student achievement, Title I funds are used to provide instruction to raise the achievement of students who are failing, or are at-risk of failing to meet the challenging state standards. Title I funded personnel are personnel who directly contribute to the education of children. The purpose of Title I is to support school efforts to ensure that all children meet challenging academic standards and have a fair, equal, and significant opportunity to obtain a high-quality education. This purpose can be accomplished by providing additional resources for high poverty schools to enhance educational opportunities for disadvantaged students. Once a school qualifies, funds are then allocated in the spring based on a formula developed at the district office that projects the number of qualifying children at the school for the following year. Occasionally, a further adjustment is made after the first month of school the year funds are allocated, to ensure that schools receive funds commensurate with the number of qualifying children actually enrolled.